This quilt was also made by Lynne. It is a Judy Niemeyer design, this one is called “Glacier Star”. 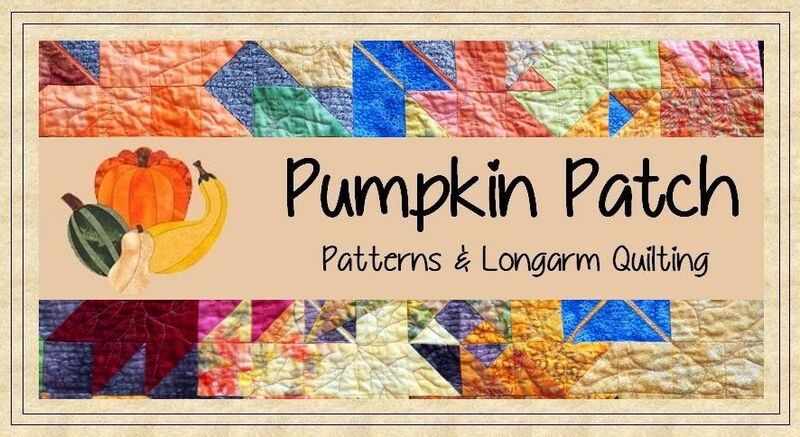 I enjoy looking at them and quilting them but I am still not tempted to make one myself, I just know I would hate all that foundation piecing. For quilting, we chose the pantograph design “Feathered Curls”. Auch diesen Quilt hat Lynne genäht. Das Muster ist von Judy Niemeyer und heißt “Glacier Star”. Ich quilte nach wie vor gern Judy Niemeyer Quilts und sehe sie mir gern an, wenn Kundinnen sie bringen, aber ich bin immer noch nicht versucht, selbst einen in Angriff zu nehmen. Ich weiß, dass ich das ganze Nähen über Papier unendlich langweilig finden würde. Als Quiltmuster haben wir das Design “Feathered Curls” gewählt. That is one breathtaking quilt and from what I can see the quilting is beautiful! Isn’t it just amazing? I am so lucky that I get to quilt them without having to piece them myself.